Removal of phosphorus in a tertiary process is required in many cases to meet low level phosphorus effluent requirements. Tertiary filtration removes particulate associated phosphorus. Chemical may also be added in a tertiary step to precipitate soluble phosphorus to improve the removal of total phosphorus. Aqua-Aerobic Systems specializes in tertiary phosphorus removal through our cloth media filtration and membrane system technologies. 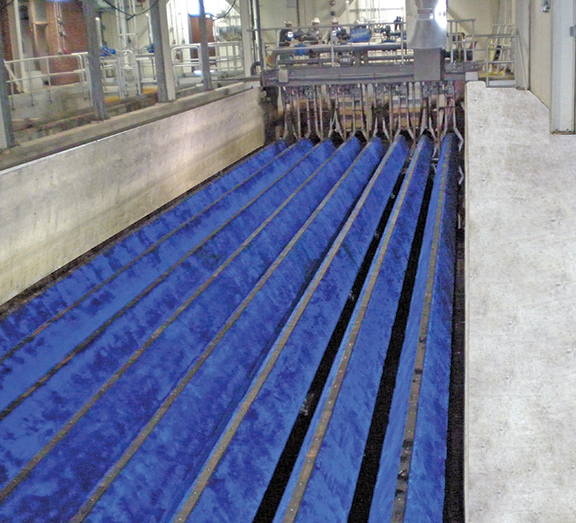 Aqua-Aerobic Systems cloth media filters designed to maximize phosphorus removal. These cloth media filters are available in a variety of mechanical designs and media options to ensure the optimal design for your application. AquaDiamond® Cloth Media Filters utilize microfiber media to achieve 0.1 mg/L total phosphorus limit. 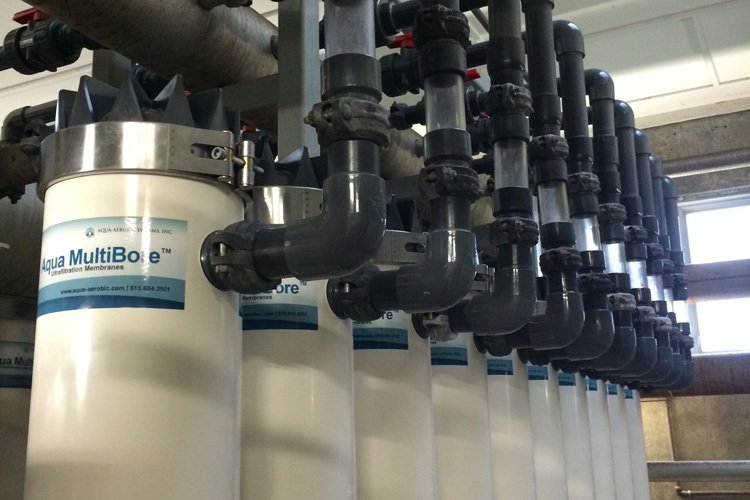 With the current national emphasis on restoring the water quality of America’s urban waterways, the City of Brockton, Massachusetts, Advanced Water Reclamation Facility (AWRF) wanted to stay ahead of the regulatory cycle. Phosphorus comprises approximately 1-5% of the suspended Solids in a biological system. The more solids that are removed, the more phosphorus is removed. Uniform pores at sub-micron levels, provides the best solids removal available and with it, great removal of phosphorus associated with those solids. An alternative to the membrane bioreactor is the application of progressive staged filtration following the biological system. This Multi-Barrier Treatment Process (MBTP) is an innovative solution that integrates the sequencing batch reactor (SBR) process and cloth media filtration (CMF) to produce an exceptionally high quality membrane-feed, with solids less than 5 mg/l.